Oslo is a city which is full of culture, fantastic places to eat and shop, and breathtaking nature too. With so much to do here, we thought it might be a good idea to highlight our favourite vegan friendly places. 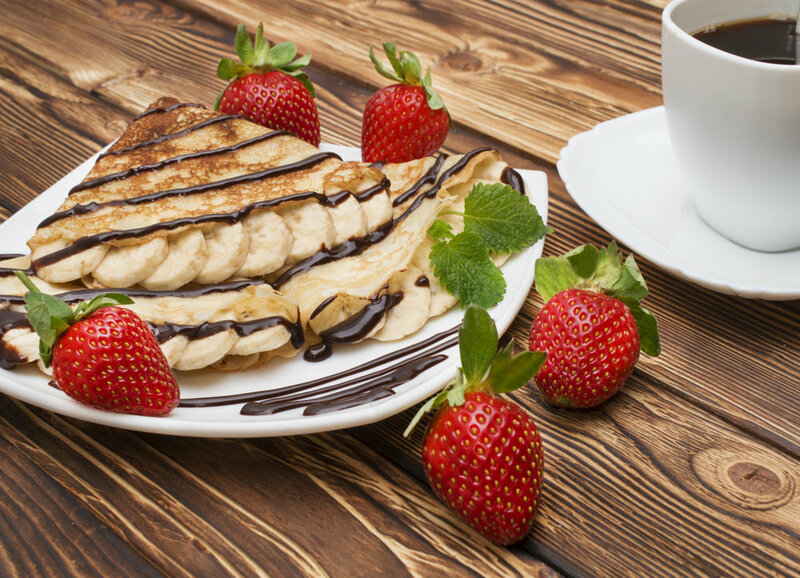 Everyone loves pancakes and now you can go out for vegan ones! There are even gluten free pancakes available at Creperie de Marie. On the menu is a delicious breakfast pancake covered with fruit and soya yoghurt, an awesome lunch pancake topped with spinach, tomatoes, garlic, rocket, olives and avocado, and many different options for tasty sweet pancakes. This is the perfect place to visit at the weekend when out shopping in the cool part of town. We are just so thrilled to be able to go out for pancakes! Oslo's newest all-vegan cafe, Nordvegan offers a menu of eco-friendly, healthy and tasty food. Expect everything from sandwiches, pies and sushi to salads, lasagne, pastries and even vegan crème brûlée! We love the buddha bowl with the crispy oyster mushrooms best though. There's no alcohol on the menu and it closes at 8pm so it's a perfect place to come for lunch. If you get here 15 minutes before they close, you can grab dinner for 50% off! Røtter is a lovely welcoming health food store which stocks a variety of vegetarian and vegan products. You will find tofu, tempeh, soy burgers, vegan hotdogs, non-dairy milk, soy yogurt, vegan protein powder, rice, beans, seaweeds, non-dairy ice cream, fresh bread, juices, kombucha, yerba mate, and more. Stock up on the products that you just can't get at the 'normal' supermarkets. Banh Mi Cousins is a wonderful vegan friendly place to get lunch right in the city. Here you can find lots of Korean and Vietnamese food and about half of the menu is veggie and vegan friendly. Funky Fresh Foods is a 100% vegan restaurant by the side of the Akerselva river on the edge of Grünerløkka. The menu is filled with healthy, organic, and sometimes raw, soups, burgers, salads, and specials. As well as a great list of beers, wines, healthy juices and delicious vegan milkshakes. Our favourite thing ever is to order the sharing dish (398- and it is more than enough for two people). The chefs bring out a huge platter covered with great stuff like lentil kebabs, vada with mushroom and sundries tomatoes, oven roasted potatoes, fennel salad, sesame paprika asparagus salad, pickled pumpkin, beetroot aioli, cauliflower bites, cheddar cheese dip, nachos, and kale chips... yes, it tastes as amazing as it sounds. If you don't feel like this then we recommend the jackfruit burger 179,- which comes with oven roasted potatoes, coleslaw, salad, and mango chutney! Don't you dare leave here without trying one of their amazing desserts ok? We especially recommend their raw cupcakes, donuts, or brownies - heaven! Check out our guides to Bergen, Trondheim, and Stavanger too!